CALL 510 541 8602 FOR 40% OFF1270F3S	Accent Chair with 1 Kidney Pillow	28.5.. Dramatically styled, the Prado Collection not only serves to support you wh..
Updating the profile of a traditionally styled wingback chair is the Avina ..
Model Number: 460406Dimensions:Width: 28 x Depth: 25.5 x ..
Model Number: 460407Dimensions:Width: 28 x Depth: 25.5 x .. Item Number : 50845Feature : ACCENT CHAIRColor :Dimensions : .. Item Number : 50846Feature : ACCENT CHAIRColor :Dimensions : .. Item Number : 52058Feature : ACCENT CHAIRDimensions : 31"L x.. Item Number : 52087Feature : ACCENT CHAIRDimensions : 33"Lx3..
Model Number: 550078Dimensions:Width: 30.5 x Depth: 68.5 .. ACCENT CHAIR59048DIMENSION: 30?" x 30?" x 32? "HFEATURE: white PUPackage: PK..
59069 ACCENT CHAIR BEIGE/CIRCLES F.
Item Number : 59069Feature : ACCENT CHAIR BEIGE/CIRCLES F.Dimensi.. 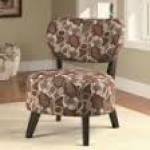 ACCENT CHAIR59070DIMENSION: 30" x 23" x 33"HFEATURE: FabricPackage: PKG:1PC.. ACCENT CHAIR59073DIMENSION: 27"? x 29?" x 33? "HFEATURE: FabricPackage: PKG:.. ACCENT CHAIR59152DIMENSION: 30"? x 22"? x 33? "HFEATURE: FabricPackage: PKG:.. ACCENT CHAIRS (SET OF 2)59194DIMENSION: 25" x 27" x 38"HFEATURE: Cream Fabr.. ACCENT CHAIRS (SET OF 2)59196DIMENSION: 25" x 27" x 38"HFEATURE: Gray Fabri.. Item Number : 59391Feature : ACCENT CHAIRDimensions : 27"x29.. Item Number : 59393Feature : ACCENT CHAIRDimensions : 27"x29.. Item Number : 59438Feature : ACCENT CHAIRDimensions : 23"L x.. Item Number : 59439Feature : ACCENT CHAIRDimensions : 23"L x.. Item Number : 59442Feature : ACCENT CHAIRDimensions : 28"L x.. Item Number : 59445Feature : ACCENT CHAIRDimensions : 30"L x.. Item Number : 59446Feature : ACCENT CHAIRDimensions : 30"L x.. Item Number : 59452Feature : ACCENT CHAIRDimensions : 28" x .. Item Number : 59453Feature : ACCENT CHAIRDimensions : 29" x .. Item Number : 59492Feature : ACCENT CHAIRDimensions : 28"L x.. Item Number : 59505Feature : ACCENT CHAIRDimensions : 23"L x.. Item Number : 59506Feature : ACCENT CHAIRDimensions : 23"L x.. Item Number : 59507Feature : ACCENT CHAIRDimensions : 23"L x.. Item Number : 59532Feature : ACCENT CHAIRDimensions : 32" x .. Item Number : 59533Feature : ACCENT CHAIRDimensions : 30" x .. Item Number : 59534Feature : ACCENT CHAIRDimensions : 25" x .. Item Number : 59562Feature : ACCENT CHAIRDimensions : 23" x .. Item Number : 59563Feature : ACCENT CHAIRDimensions : 27" x .. Item Number : 59570Feature : YELLOW ACCENT CHAIRDimensions : .. Item Number : 59572Feature : BURGUNDY ACCENT CHAIRDimensions :&nb.. Item Number : 59574Feature : DARK BLUE ACCENT CHAIRDimensions :&n.. Item Number : 59576Feature : BLACK ACCENT CHAIRDimensions : .. Item Number : 59610Feature : TEAL ACCENT CHAIRDimensions : 2.. Item Number : 59611Feature : CREAM ACCENT CHAIRDimensions : .. Item Number : 59612Feature : CHARCOAL ACCENT CHAIRDimensions :&nb.. Item Number : 59613Feature : BLUE ACCENT CHAIRDimensions : 2.. Item Number : 59615Feature : ACCENT CHAIR W/STORAGEDimensions :&n.. Item Number : 59616Feature : ACCENT CHAIR W/STORAGEDimensions :&n..